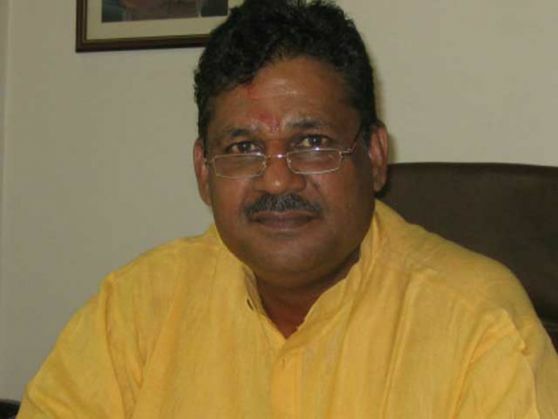 BJP MP Kirti Azad has been summoned by the party General Secretary Ram Lal. According to an ANI tweet, Azad has been asked not to comment about the Aam Aadmi Party's allegations against finance minister Arun Jaitley about financial fraud in the Delhi and District Cricket Association (DDCA) during his tenure as the president of the cricket body. However, taking to Twitter, Azad dismissed the gag orders as rumours while saying that his fight was not against any individual but corruption. The AAP alleged that during Jaitley's tenure, a budget of Rs 24 crore was approved to construct a cricket stadium but only Rs 114 crore was spent. But Azad is being involved in the row because he has been making these allegations about Jaitley all along. While addressing a press conference on 17 November, Jaitley - without naming Azad - spoke about a certain Member of Parliament who "has been writing to various governmental bodies with regard to Delhi's cricket affairs," despite the fact that he left cricket administration in 2013. According to Jaitley, it was on the basis of Azad's complaints that the UPA government had ordered an Serious Fraud Investigation Organisation (SFIO) inquiry into the alleged irregularities in the DDCA during his tenure. "The SFIO, under the UPA regime, investigated and could not find a shred of evidence against me.No personal allegation was ever made against me nor did I ever feel the need of contradicting it." Why the gag order on Azad? In June this year, Azad wrote a letter to the SHO, IP Estate, alleging that rules had been flouted when Jaitley was the DDCA president. Azad demanded that the president, secretary and other concerned officials of the cricketing body be arrested. In August 2014, Azad wrote a scathing letter to Jaitley where he drew the finance minister's attention towards instances of "fiscal indiscipline, maladministration, siphoning away of funds from DDCA coffers" when Jaitley was at the helm of affairs. BJP has been holding multiple press conferences to counter AAP's allegations. The latter seems to be in no mood to relent. Delhi Chief Minisreter Arvind Kejriwal dismissed Jaiteley's explanation about the UPA government probe giving him a clean chit and said that his version cannot be taken as "gospel truth". At a time like this, the BJP could lose heavily if one of their own men spoke out about Jaitley. That may explain why Azad has been asked to refrain from commenting on the issue. How did the blame-game begin? The AAP and the Central government have been locking horns with both sides mounting allegations of "protecting corrupt practices" ever since Kejriwal's Principal Secretary Rajendra Kumar was raided by the CBI earlier this week. The AAP has claimed that that raid was meant to intimidate the AAP government. While BJP says that the investigation against Kumar is based on an old complaint and has nothing to do with Arvind Kejriwal, the AAP claims the CBI came to the office to look for files regarding the DDCA corruption case which names Arun Jaitley.